Read our helpful guide to second hand BMW 135. AA Cars works closely with thousands of UK used car dealers to bring you one of the largest selections of BMW 135 cars on the market. You can also browse BMW dealers to find a second hand car close to you today. 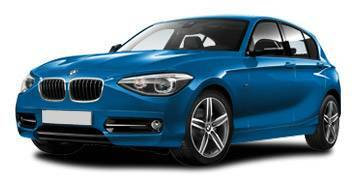 All used BMW 135 on the AA Cars website come with free 12 months breakdown cover. A sports coupé version of the entry-level, hatchback BMW, the 135i is a powerfully able car, boasting a brisk 0-60mph time of 5.3 seconds, and a burly 302bhp. Powered by a 3.0 litre engine, the 135 certainly offers a steep step up from the remainder of the 1 Series range, and in looks perhaps resembles its bigger sibling the 3 Series more directly, coming with a boot where the original 1 Series has a swooped behind. Decent refinement and a quality interior makes it a highly comfortable car, although with a relatively small fuel tank it lacks the lasting power that many drivers may want to come with a vehicle which relishes cruising so much.